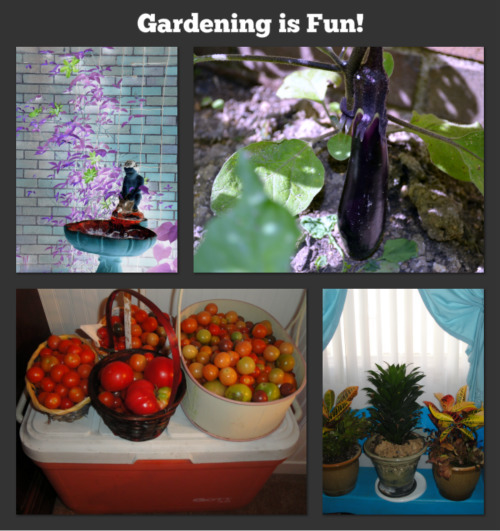 I think gardening is one outdoor activity with many benefits. It is therapeutic, relaxing, great exercise, and above all you get to enjoy the fruit of your labor at end. If you are passionate about backpacking and you love outdoor trips, then you must put Thailand on your bucket list. This is an amazing country with hundreds of breath-taking islands where you can scuba dive and see the wonders of nature. Thailand coupled tropical rain forests with outstanding architectural masterpieces, and these are only some of the aspects that make this beautiful country a popular tourist destination for tens of thousands of backpackers on a yearly basis. Everybody has heard of the traditional Thai massage that can relief any muscle or joint pain in a natural and efficient manner - besides, the massage and spa treatments here are not only about relaxation, but about the history and the culture of Thailand. There is no better way to relax and let off some steam after a full day of walking than enjoying a well-done Thai massage that encompasses some principles and stretching techniques from traditional Thai medicine. To put it simple, the massage relies on key pressure points for a holistic healing. Are your legs swollen after walking for miles? Or perhaps you have a back pain due to bad posture? There is almost nothing a good Thai massage can't heal! The markets in Thailand are popular all around the world for the cheap products and multitude of colors and souvenirs. A market usually has thousands of stalls with food, drinks, souvenirs, clothes, homemade gifts and such. It is sheer pleasure to walk through these stalls and delight yourself with the skill and carefully painted or decorated items you can find here - besides, you can find a lot of bargains that will remember you of the beautiful country of Thailand! A Thai market is like Heaven for any backpacker that is passionate about souvenirs and reminders. 3. Try The Thai Food! Asian food is delicious, but in addition to being delicious it is also known for being less conventional than the European food - and this is exactly what makes it so sought-after! You may have tried Thai food in the US, but there is no better way to get a deeper insight into the Asian cuisine than by tasting some of the street food you find in Thailand! There are literally hundreds of food stalls on the side of the roads where you can fined everything from soups, salads, traditional rice, satay, sushi and even all sorts of insects, from beetles to crickets. Do you have that it takes to try these foods? Because it surely is a once-in-a-lifetime experience for every backpacker! Scuba diving is an extremely popular underwater sport in Thailand, given the fact that the crystal clear water allows you do see up to 30 meters in depth. Besides, here you can also find a plethora of shipwrecks, manta rays, unique rock formations, soft corals, coral gardens and basically everything a scuba diver could possibly with to find. The winds and tides are also favorable for scuba diving here, and the water temperature is perfect for underwater activities. Some of the most popular destinations for scuba diving in Thailand include the islands of Ko Samui and Ko Pha Ngan, Pattaya, Phuket, the Krabi province or the popular Surin Islands. Make sure to take some pictures you will show to your friends and family when you get back home! 5. Try The Local Festivals! Thailand has a fascinating culture and history, and all the country's traditions are reflected in the beautiful festivals that take place here on a yearly basis. There are numerous festivals in Thailand that you can enjoy, and if you are lucky enough to synchronize with any of the following, then it is highly recommended to take part at them, just to see how interesting it will be: The Songkran Festival, the Chiang Mai flower festival or the Fruit Day in Chantaburi. Alexandra is a passionate writer, journalist and backpacker that writes on different topics like leisure and travel, computers, home remedies for various illnesses, ladies shoes, health and beauty, cooking and lifestyle. My Trumpet Vine is now blooming. Hubby still think that we should cut it and plant a tree on that corner. But I still insist that I like it there because it serves as a roof for the corner I put the Virgin Mary statue in. Besides the trumpet vine also attracts humming birds when in bloom. A beach provides you with the ideal setting for doing a workout. The instability of the surface helps improve your proprioception, while strengthening your ligaments, muscle fibers, and tendons. Moreover, swimming in the ocean provides you with extra resistance which also helps to increase your muscle strength. Have you ever wanted to transform the beach into your own personal gym, but had no idea where to start? These five techniques will help realize achieve your beach gym workout. Convert the sand into your personal track. Before going on your beach run, make sure that there’s a low tide at the beach you select. A low tide provides you with the ideal running conditions, since the surface is level and hard packed. Go closer to the edge of the water when preparing for your run. Do not get your feet wet. Depending on the conditions of your selected beach, you may be provided with more room to run on hard packed sand, without having to be near the edge of the water. Find a tree in the vicinity of the beach. Make sure that the tree has a sturdy structure before starting your workout. Hang from a low lying branch of the tree and pull yourself back and forth from the branch. This may be a bit challenging at first for beginners. However, the exercise will increase your grip strength and strengthen your muscles as you move at different angles. With this type of swimming there are no wall restrictions. However, it is important to indicate where your swim will end. Choose a swimming workout. You can opt to do long straight swims or intervals with varying intensity levels. Regardless of the swimming technique you choose, it’s important to take certain precautionary measures. Don’t swim too far away from the shore and implement the buddy system. This workout should focus on areas such as your calves, arms, hamstrings, and back. There are many benefits to be reaped from stretching. Such benefits include increased flexibility, alleviation of lower back, stress reduction, increased circulation, and increased range of movement. Where better to inhale and exhale then by the sea? Maintain a good posture while standing with the dumbbells in your hands. You can also opt to do this exercise without dumbbells. If you choose to go without the dumbbells, place your hands on your hips.Bring your right foot in front, making sure that your knee doesn’t extend over your toes. While doing so, you should be lifted onto the upper part of your back foot. Keep your chest upright and your shoulders back. On bended knees, lower your body straight to the ground. Your back knee should not touch the floor and your front knee should not be extended too far in front. Move forward with your right foot and place your back foot in front of you. Once you’ve completed a lunge repeat the aforementioned steps until you’ve accomplished your desired number of reps. The uneven outdorr surface will make this exercise more challenging. Here is the larkspur in blue and pink in my garden. Larkspur is a beautiful addition to your garden and a very little maintenance needed. All you have to do is plant it once then let the seeds ripen after blooming and scatter the seeds again for next year. In my case, I don't even save the seeds anymore, I just let the nature take care of it for me and it does, it comes back every year. I actually have to thin them out because they get so thick. Our neighbor went for a vacation so she hired our children to water her plants and collects her mails while she's gone. She has so many fruit trees, veggies and flowering plants and she doesn't want it to dry out while she's gone. Ms. Burrito was very happy to get hired lol. I go with her whenever she waters all the plants but I am not allowed to help so I took the chance of taking some snapshots of her and the plants. Many people dread sitting in front of a computer screen all day. When coming to this realization, some opt to seek out more fulfilling and adventurous work. Unfortunately, most people give up on their search too quickly. In reality, there are an abundance of exciting and adventurous jobs for the worker who wants to enjoy their career. Here are four outdoor jobs for the adventurous worker. Many tourists love to have a professional show them around. When giving tours, a person can work outside and enjoy their passion. A guide can take visitors on kayak excursions or a walk through the city. To get started in this field, one should acquire public speaking skills. Furthermore, an individual who can speak a second language would have a better chance of landing their dream job as a guide. Finally, to increase one's chances, they should take a CPR class. This will help a candidate stand out from the pack. Remember, a tour guide enjoys plenty of freedom and will have fun talking to tourists from all over the world. When hiking, most people will enjoy clean and well-maintained trails. A hiker enjoys safe trails because a professional maintains them year-round. To get a job in this field, one should contact their local government agencies about any openings. Sometimes, a job seeker must volunteer during the off-season. Remember, a person who maintains trails must be in excellent shape and have plenty of energy. An angler can make a lot of money and have fun in the process. When working in this field, one must enjoy being away from home. Often, an angler must travel for months at a time. Fortunately, when working on a boat, one will be outdoors and away from an office. This is a perfect job option for a worker who does not mind getting a little dirty while working. To find a job with a fishing company, one should contact local fishing companies. The homesick person has another option. Often, people love to go on one day fishing excursions. When working on one-day excursions, an individual can enjoy the ocean while still having a nice bed to sleep at in at night. When a person works as a logger, they can make some serious money. Of course, this work is reserved for people who have a lot of energy and strength. When working in a forest, one will bake in the sun while getting into even better shape. To get started as a logger, one should contact logging companies in the area. Again, this is not a job for a worker wants to bask in the sun and relax. However, this is a great job for someone who wants to make a decent living. When seeking a thrilling an interesting job, one must think outside the box. With these four positions, one will make a decent income while having a good time. This job not only gives you great pay but basically sets you up for life. The amount of skills that companies teach you and the possibilities of different counties this job can take you is endless. This job is not for the person who wants to settle down any time soon, but it’ll definitely set you up for when you do. The best place to look for jobs like these are on websites such as Randstad for mining jobs and potentially find that outdoor job you’ve always wanted. Author Bio: Nicole is a recruitment agent and has been for the past 5 years. She aims to help her clients find jobs and guide them in the right direction. She started writing blogs to share her knowledge to others who are looking for general help and ideas to get them started on their career. Our lettuce is so thick now that we have been enjoying having fresh salad every time. Our rabbits are enjoying it to as I always pick some in the morning and gave it to them. This is what I love about summer, being able to go to the garden and pick the veggies that you want to eat. On the other note, we went to Lowe's the other day and I found a bag of Miracle Gro on the reduced rack. There was damaged o the bag so they taped it up and have it reduced from $7.99 to 5 so I bought it and added some of it around my tomatoes. So far, my garden is looking good and I am starting to harvest some of it. Making Memories.. Last a Lifetime with Canvas4Life! I am so blessed and fortunate that I have given an opportunity to work with Canvas4Life. Canvas4Life is another great company that offers high quality canvases but unbeatable prices. I got this 20 x 16 canvas for review and I had so much fun creating it at their website. This is another canvas company that gives you a lot of option when customizing your photos. Making memories last a lifetime with Canvas4Life because they have an awesome selection of designs to personalize your photo and their software is very user-friendly. Canvas4Life has a unique software that enable customers to easily customize photos. I had a great time editing the photo I chose. Creating your canvas involves 3 simple steps which is uploading your photo, customizing it, and you are ready to order them. As you can see, of all the canvases, the one from Canvas4Life stands out as it is uniquely designed, love it! Another thing that I love about Canvas4Life is the framing. They do a great job in framing your canvas photo to make sure that it is secure when you hang it on the wall.. So now our family in canvas is complete! Thank you Canvas4Life for the wonderful opportunity you have given me. If you guys are looking for something beautiful to hang in your wall, why not choose a canvas print. Check out Canvas4Life! Disclaimer: The author of this blog received the product mentioned above for evaluation purposes. The author did not receive any monetary compensation in facilitating this review. My children are very excited to see the progress of the corn they planted. They planted it alongside of our house. I am planning to buy a bag of garden soil to make the ground a little healthier. I just have to watch our pup because he tend to like digging the corn for some reason. He already tore up some of it and the kids are not very happy about it. Here is the recent one that I took. They are getting bigger. Below is the most recent photo I took. They are now blooming. Just some of the garden projects that we did, currently doing, and still has to be done. I decided to connect the corner plants by adding some mulch and other plants so it won't be hard for us to mow the small strip of grass in between. My kids wanted to put this around the crab apple tree so we did. My sister in law made these a couple of years ago and gave it to the kids. By the way, belated happy birthday to you, Chris! These two bird houses needs to be painted so we will do that as soon as we get the paint. The sparrows uses this many times during summer to lay their eggs. It's been twice now that we see their babies. Just some of the potted plants I have inside the house. They are enjoying the warm weather now in our front porch. I took some photos yesterday of our plants to document the progress that our veggies and flowers has. The kids are very excited that their corn are growing. Not only do garden obelisks add beauty and style to your landscape in your garden or in your yard, but they also provide plant stability. Mega Garden Store offers many different types of garden obelisks so that you can get the look that you want to achieve. The garden obelisks come in traditional styles and three different heights to support your plants and provide height to your garden area. All types of garden obelisks offered by Mega Garden Store are made of stainless steel and covered in a durable black polyester paint finish. These garden obelisks can be used in potted containers, pots and gardens. They provide excellent stability to give a plant or flower a place to grow, providing support. These are also recommended for small trees or even roses and come in a variety of heights. They are absolutely stunning and add variety to any garden as well as provide an aesthetically pleasing change in landscape design. Garden obelisks are not just functional and help provide plant support in areas where some plants, flowers and trees are hard to grow but they are also for decorative purposes. Like a garden tower, the garden obelisks add a significant effect to any garden. They can be virtually placed anywhere whether it be in a garden, in the yard, at the end of a driveway or anywhere else that someone wants to add extra flair to their landscaping or curb appeal. Mega Garden Store’s garden obelisks change the geometry of an otherwise flat looking flower bed and create an amazing focal point. This adds a vertical appeal to your garden or landscaped area. When the plants grow onto the garden obelisk, it provides an interesting contrast between nature and elements of construction that only add to the appeal. The garden obelisks come in heights of six, seven and eight feet tall from Mega Garden Store and turns your garden area into a sanctuary. It is purely up to you what you want to do with your obelisk. Some plants or flowers grow best in shade while others thrive better in the sun. You may wish to determine what you want to grow before setting up your garden obelisk or if you simply know you want to create a new dimension to your gardening area, then you can decide what you want to grow on your garden obelisks later. Written by Jacklin O'hara for Mega Garden Store. Aside from the two hats for my kids, I also go this Sierra from Wallaroo Hats for me. I should have bought one for my husband as he doesn't have one, bad me. I chose this one, as you can wear it even when you are wearing heels and you would like to go in town during summer time. I love the buckle tied on with a leather cord around it it makes it real stylish. I Love wearing it with the cowboy boots that a dear friend of mine gave me for my birthday. I like the collection of hats at Wallaroo because they have a drawstring underneath it which is perfect to adjust for any size of head. I also love the fact that it has UPF 50+. I used this hat everyday while we were in Texas as it was really hot out there. Another feature of this Sierra hat that I like is the thin wire wide brim that gives you the option to shape the hat, the way you want it. This hat is made from 100% paper braid in three shades of brown, just the way I love it! Thank you once again Wallaroo Hat Company for providing us sun protection with style! You can find out more about their company and products by visiting the website or you can view the review I made on my Kids e-Connection blog. Disclaimer: I received the products mentioned above for evaluation purposes. I was not compensated to facilitate the review. There’s so much to see and do in Sydney; you don’t want to break the bank with your accommodation before you’ve even had time to experience this amazing city. Travel Money Oz in Sydney can help you look after your pennies, but if you need ideas for great hostels, have a look at our list of the top five. Although it’ll probably get Waltzing Matilda stuck in your head for your whole stay, the Jolly Swagman Backpackers is a fantastic hostel for those looking for ample facilities for a great price. Read the Swagman News online before you go and be sure to make this your accommodation if you’re heading to Mardi Gras – it’s situated within walking distance of the famous festival. Who wants free stuff? Wake Up hostel is the king of free experiences. Go on a guided city tour, test your memory at a trivia night, feast on a BBQ in the park or go on a beach walk from Coogee to Bondi. This place looks like a big old fashioned pub on the outside but it’s got sleek modern interiors and facilities so you can appreciate the clash of old meets new. Head to quaint Glebe to stay at Rooftop Travellers Lodge, a hostel with a difference. No shared rooms here, instead you get your own room and bathroom. While other hostels offer free internet, Rooftop Travellers Lodge goes one better and offers a PC in every room with unlimited internet, in addition to a TV and DVD player. There is also the quirky option to rent the room and not the bed, so you can squeeze up to four people into one room if you’re strapped for cash. So it’s…um…a big hostel. The name says it all, really. Cheap and cheerful and located right in the city, Big Hostel is a great no-frills option for travelers on a budget. The rooms are clean an minimally fitted out and there are private rooms with ensuites available, as well as facilities for those with disabilities. Stroll down to Chinatown and Pitt Street Mall for a day of shopping, or catch the train from nearby Central Station to start your adventures further afield. Look for the big blue bird on the sign out the front and step inside Blue Parrot Backpackers, one of Sydney’s best-loved hostels. This is a hostel catering to those aged between 18 and 35 only, so you’ll be sure to be among your peers. Blue Parrot is run by sisters and prides itself on creating a “one big family” vibe, so those who may be feeling homesick will love it here. Walk 15 minutes into the city when the weather is fine, or hole up with the Wii and DVDs on rainy days. Whether they’re quaint and family-style or rowdy and raging, there’s a hostel for every taste in Sydney. Maree is a student fresh out of university and has decided to travel the world. She has been travelling for the past 8 months and in her spare time writes all the tips and tricks she can think of to share with other beginner travellers. I am on blog break so this is a scheduled post. Every year, my yellow rose always blooms a lot all summer long through Fall. What I like about these yellow roses is it's fragrance, it smells so good so I always makes sure to pick some and put it inside our home. It last for week or so which is really nice. The pink ones also blooms a lot and it also smells good but the flowers don't last very long. I think it only last a day and the petals are already falling so it's not good to put in a vase. Nevertheless, I still like them because they are gorgeous and when the wind blows, you can smell it's sweet fragrance. Life with young children is pretty full on. And when you’ve spent the day doing everything a mom does in a day – probably including going to work somewhere along the way – it can be really great if you can find a way to distress and unwind in the evening when the kids are in bed. Of course, there’s always the option of putting on your favourite film or just watching some reality TV, but this can be a little tedious night in night out. And it’s not easy when you have young kids to go out in the evening. Even if you had the energy to go out often, you’d need someone to cover looking after the kids or to pay a sitter. While you might want to do this once a week or so, so that you can go to a yoga class or another activity, it’s not something that you’d want to do much more frequently. In the pre-internet days – which, although it hardly seems credible now, weren’t actually too long ago – entertainment at home options were limited. Now though, there is so much entertainment available online that it can be difficult to know where to start. One pastime that more and more people are turning to is gaming online. There are all kinds of games available to play, of course, and it really depends on you what kind of games will appeal. But one that is really popular with a large percentage of moms is online bingo. When people first think about bingo, they might have the old-fashioned fundraiser game in mind, and you may be thinking that that is the last way you’d like to spend some downtime. But actually, with its transition online, although bingo has retained the same essential basis to the game, it’s actually quite a different experience. Basically, when you play bingo, you buy a card (or cards) for a particular game and then when the game starts, you listen to the numbers being called out and hope that they will correspond with the numbers you have on your card(s). There’s nothing complicated about it; it’s a simple question of luck as to whether all your numbers will be crossed off before anyone else’s during the game. This is part of the attraction of online bingo – it’s simple and it’s a game of chance, so no brainpower is required and the game is therefore enjoyable and easy to play. But the real appeal of playing this above other online games is the the social aspect of bingo. Sure, your kids may be tucked up in bed at 7.30pm so you have lots of long evenings with time to spare at home, but at the bingo chat rooms you’ll always find plenty of other people in a similar position – who are keen to chat and share your company. Bingo chat rooms are really lively places, full of camaraderie and banter. Online bingo can be a great way to spend some ‘me time’ winding down at the end of the day – you get entertainment and people to talk to all rolled into one – what more could you want? I took a photo of this wildflower when we had our family picnic over at Tomlinson Run last month. When you have a dust allergy, it can make cleaning very difficult. Vacuuming, cleaning furniture and wiping down hard to access surfaces in particular can release a lot of dust particles into the air, which can set off allergies. This can make breathing difficult, along with making eyes itch and stream and irritating throats and noses. That's why you need to be extra careful when it comes to cleaning your home. If the room hasn't been thoroughly cleaned for a long time, it can be extremely difficult to touch anything without disturbing a lot of dust. Dust collects quickly, especially on fabric, but it can be difficult to tell how dusty something is until it's too late. In this case, it might be a good idea to get a professional cleaning team in to sort the room out for you. Professional cleaning tends to work by using the latest cleaning technology to gently steam clean fabrics in situ. This can include everything from carpets to curtains and fabric furniture which would be difficult to move. This is the best course of action if the room has been neglected for some time. If you are determined to carry out the cleaning yourself, make sure the room is well ventilated. Open the windows and doors and keep them open for the duration of the cleaning. If it helps, wear glasses or even goggles to keep the dust away from your eyes to stop irritation. Remember not to touch your face with your hands, which may have come into contact with dust. If it helps, wear rubber gloves and take them off once you leave the room. Using a wet cloth to wipe down surfaces can greatly reduce the amount of dust in the air. This is because the particles stick to the damp cloth and don't just get swept off the surface. This also removes the dust rather than simply moving it off the surface. If you prefer to use dry cloths on surfaces such as glass to avoid streaks, opt for one designed to lock in dust. Fabrics resembling suede are often good at holding dust. Remember that dust can also cling to walls, so wipe this down with a cloth from time to time to remove any particles which may be a hidden source of irritation. Where possible, avoid textured wallpapers and stick to glossy finishes which make it harder for the dust to settle. As the nights stay warmer and brighter for longer, you'll find yourself spending more and more time in your garden. When temperatures soar and other people flock to the beach and parks, be summer smart by holding a BBQ. No screaming children, no inflated ice cream prices and no chance of being hit with a rogue football being kicked into the middle of your picnic. However, you'll probably want to get your garden prepped for summer, so check out our tips to make sure your garden entertaining goes with a bang. Firstly, think about the practicalities of your outdoor space. Do you have a secure garden which will be easy for people to get in and out of? If your garden connects with a side alley or you want to encourage access straight from outside your property, get a gate latch fitted. This means that people can get in all the time you leave the latch open, but once everyone has arrived you can close it so that nobody else can enter your garden unnoticed. If you have a pond, make sure it's looking clean and fresh by dredging out anything which may have accumulated over the winter. If you have water features, this will also mean they work much more effectively as they will only need to process clean water. If you have any little ones coming, you need to make sure you have some secure fencing around the pond to make sure nobody can fall in. The same applies to clumsy adults after a drink or two! Mow the lawn and remove any weeds or nettles. If anyone decides to walk barefoot on the grass in true summer spirit, they don't want to find themselves stepping on stinging nettles, as this could give them a nasty rash and will be extremely irritating. The same applies to stones and bottlecaps: make sure nobody needs a trip to A&E as this could be a bit of a partykiller. Your garden furniture needs to be in prime condition. It's easy for wood to decompose, especially after a winter of being damp, so check that it's all still safe. In particular, check the joints in the wood and make sure all the metal bolts connecting each component of the furniture. Also run your hands over the surfaces exposed to your visitors to make sure nobody ends up picking splinters out of their skin. Apply a wood treatment if you think it needs it. If it's plastic furniture, a quick wipe down should be all you need. If you are a frequent visitor of my blogs, you probably know by now that I love taking pictures of just about anything especially my children. I don't think there is a day that I don't click my camera. It's one of my passion although I have no professional technique and training for it. I have so many photo albums at home and I still have thousands of photos to be printed. I recently worked with different companies who offers canvas prints and the recent one is the CanvasPop. With CanvasPop, I wasn't the one who did the uploading and stuff. I just submitted the photo through email and they were the one who processed it. However, I went to their website because I would like to experience how to do it myself. They sent me a $30 gift card that I can share with friends so if you are interested, just sent me an email and I will give you the code. If no one wants it then I can use it to order another canvas print. I was planning of ordering one for my FIL's sister as her birthday is coming up. Uploading your photos only takes the three Cs, you Choose an image, then Customize it according to your liking, and then Create the Canvas print. You can easily upload your photos from your computer, Instagram, or Facebook. All the photos on the wall (below are all canvas prints from three different companies. So far I love the CanvasPop the most, their website is very easy to navigate that one doesn't need to be a computer savvy to do it. I am still waiting for another canvas print, hence, the space slot on the right corner. I really love how the photo canvas of my kids turned out. Based from the quality of the product down to their customer service, you can really tell how they value and take pride of what they offer to their clients. I also love the fact that they sent you the hooks to hang the canvas prints, some places does not include that, you have to pay extra for it. Thank you CanvasPop!